B.A. (Hons.) in Sociology is an undergraduate program which deals with various aspects of social behavior and its consequence on modern society. Sociology is a branch of study which investigates into multiple aspects of society and social behavior. A Bachelor degree in Sociology teaches the fundamental concepts related to structure of society, organization of society, and how humans interact within these constructs. The basic subject matter of Sociology concerns itself with topics related to family structure, global warfare, religious cults, social class, race and gender etc. This programme provides you with an understanding of core traditions and contemporary developments in sociological thinking and research. The theories and methods we explore enable us to examine the character and workings of the social institutions that govern people’s lives, and encourage us to critically question the social values we live by. This degree course enables the students to go for various Sociology related job such as in industry, commerce, the NHS, education authorities, further and higher education, and charitable, counselling and voluntary organisations. One can go for higher degree programmes in respective subjects for further research work in Sociology. Opportunities also exist for sociology graduate in the civil service and graduate management training schemes. Sociology graduates work with a varied and diverse client group during the course of their career. UG Courses : Admission will be on the basis of merit of qualifying exam. * Other Academic Charges includes Development Fund, Examination Fee, Alumni Fee etc. Hostel Fees includes Room Rent, Mess, Laundry Service, Electricity, Wi-fi & Gymnasium charges. Students who wish to avail accommodation after January 01 of the respective year, shall be liable to pay 60% of the annual fees. The fee is subject to revision every year. 1. The entire fee shall be payable at the time of admission. 2. Transport fee, once paid shall not be refunded/adjusted after the commencement of the classes under any circumstances. 3. Air-conditioned buses will be operated from limited places. 4. Transport fee shall be subject to revision every year. One thing that strikes me about PDM is the breath of opportunity for both academic and personal development. The teaching and administrative staff always creates a great atmosphere of support among the students. With the lead vision of our teachers, I am able to get the training in lexobis and presently I am working as patent offering so far it has been a rewarding experience which I will cherish for life. If you value academics, emission, diversity, real good time you should consider joining PDM.  PDM College provides a happy,caring and supportive environment that allows each student to reach the pinnacle of their capabilities. If you have the will, PDM College has the way, Not only is it just education but also the chance to meet new friends, experience a new culture and discover more about yourself. I left the college with skills that are important in today’s world. It is one of the finest college in INDIA that has the best facilities in terms of technology. PDM is the only group in NCR that has the maximum number of students with ROBOT's in their hands and revolutionary ideas in their minds. They have the best Technical Society HAVR who have earned more than 100 Prizes in the field of ROBOTICS from colleges like BITS Pilani, DTU, Various IIT's, Maharaja Agrasen, NSIT etc. The faculty always encourage the students to indulge in extra-circular activities and motivate them to participate. Work Hard, Play Hard!